Newsletters and other ways of compiling design resources are a dime a dozen. Roundups.co helps you keep an overview. I don’t know how you feel about this. I’m subscribed to a couple dozen newsletters, and, upon receiving them, I automatically place them into folders. Afterwards, I barely get to read them. However, I have sorted them, and who knows, I might read them later on when I have more time … No, probably not. This is the landing page of the service Roundups.co. Nothing is as old as yesterday’s newsletter. This doesn’t apply to every topic, but it tends to be a documented wisdom. Wouldn’t it be cool to have a newsletter that evaluates all other newsletters, only curating their best components? Yeah, that would be pretty nice. 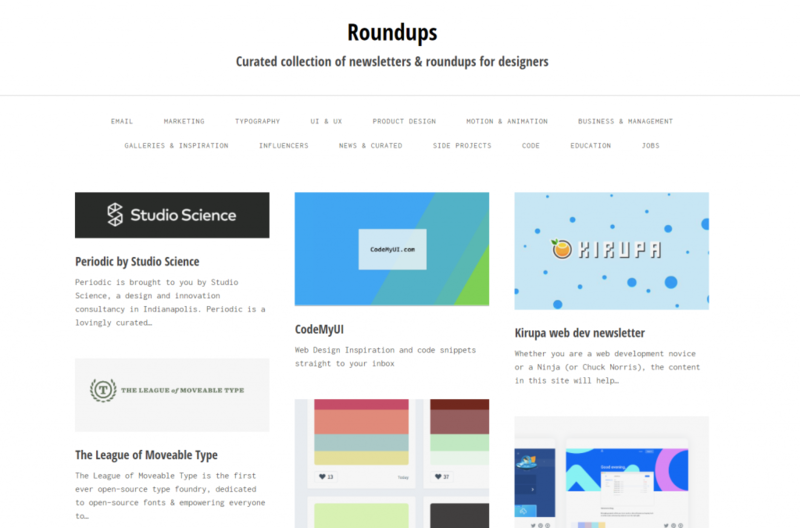 Roundups.co, developed by the English designer Joel Rosen, is that service. 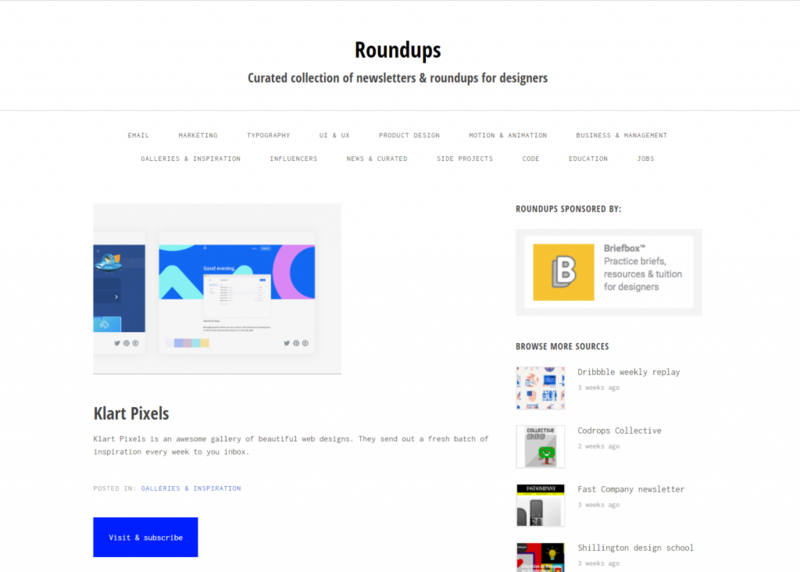 Roundups.co is designed as a traditional collection of newsletters and compilations for designers, apperaing to be some kind of bookmark portfolio. Every resource that Joel has picked up for us is presented with a thumbnail, and a short teaser text. To make it easier to find your way around, Joel sorts all bookmarks into relevant categories, like Marketing, Typography, UI & UX, and many more. This allows us to limit the list to the topics we’re interested in, resulting in only receiving appropriate newsletters and roundups. 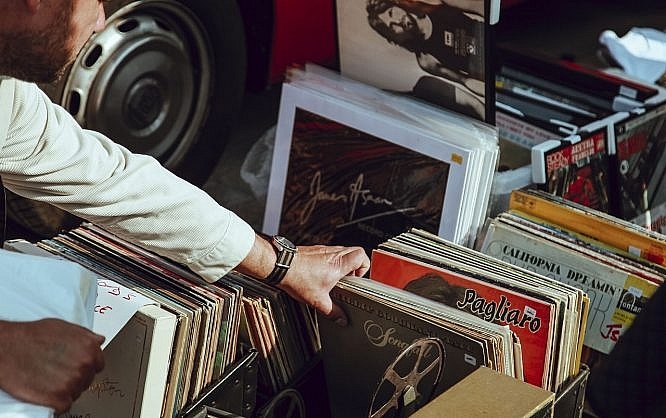 The list of categories is rather long, and so is the list of curated resources. But, Roundups.co wouldn’t really do anything in terms of slowing down the information overflow, if it wasn’t for this one clever small function being that Roundups.co offers an own newsletter. This newsletter on the other hand only curates the best content from the portfolio’s collected newsletters, and it is published once a month. If you are a hard working designer who’s constantly groaning from the burden of the deadline, this release cycle should definitely be sufficient. If it isn’t, you should reconsider your workload situation.